Sundays is a great day for some home made comfort food. 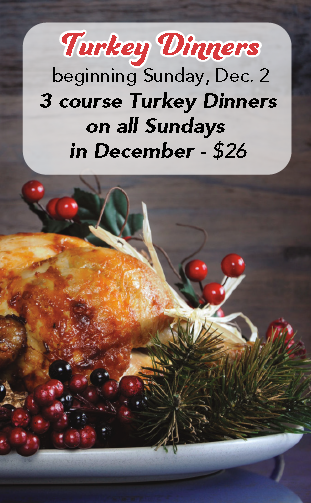 In December we are serving up a 3 course turkey dinner for $26. And as the winter season arrives, we are clearing out our wine inventory to refresh it with some new items, so come in a and get some great deals on some good wines. Looking forward seeing you soon.